This darling frog will hop right into your heart! 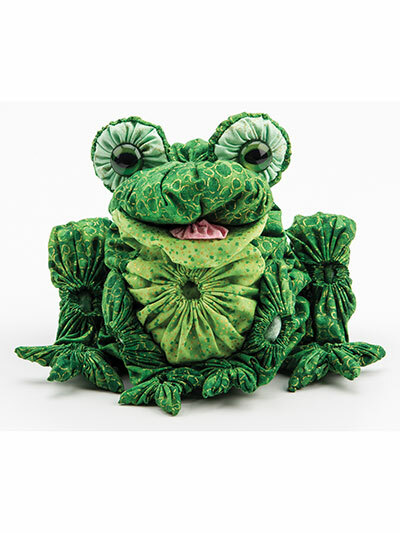 Made from 29 yo-yo's, this hand-stitched frog makes a perfect gift for a loved one, or just for yourself to decorate your desk or home. 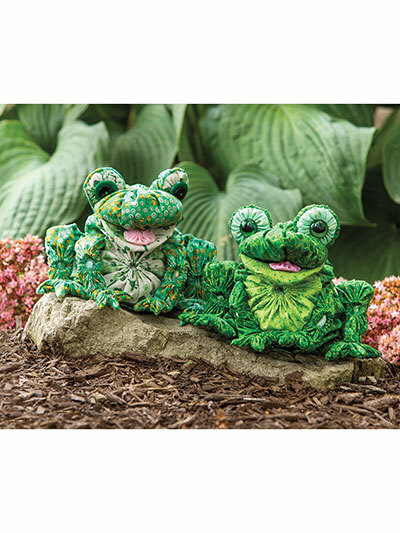 He's made with just 3 different shades of green and was designed exclusively for Annie's by Anita Bradshaw -- you can only find this pattern here! Paper template for the yo-yo's are provided. 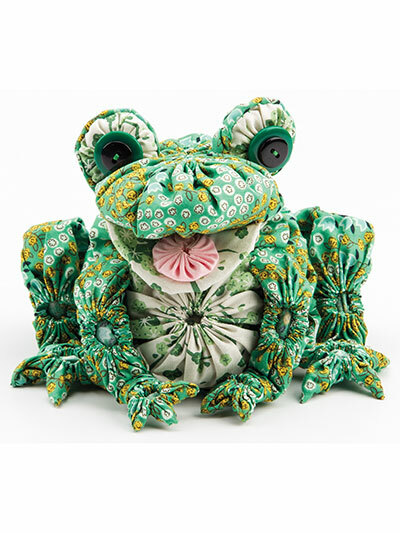 Finished size is 6"W x 5 1/2"H x 6"D.
Kit includes pattern, eyes and fabric to make one yo yo frog.